We’ve rented Jeep Wranglers in the U.S. several times (Tennessee and Arizona) and even in the Caribbean twice (Aruba). You can rent Jeeps of various types at many of the national rental car companies, you’ll just have to check the location nearest you. The one nationwide rental car company that I know lets you rent a Jeep for a day (or a week) in most states is Dollar Rent-a-Car. To find other car rental companies that let you rent 4×4 Jeeps that you can take offroad (or not), you’ll have to dig a little deeper — or use our list below. Jeep rental companies are typically small, mom & pop shops. And, unless you know what to look for and where to look for them, they can be a little difficult to find on your own. So, if you want to rent a Jeep Wrangler for a day or a week (for on- or off-road fun), check the following list of Jeep rental companies — it’s organized by state. See why the Jeep Wrangler appeared on a list of The Best Cars, Trucks & Motorcycles For Road Trips. When Or Why Would You Want To Rent A Jeep Wrangler? If you’re trying to decide whether or not a Jeep is the right vehicle for you — before you purchase one. If you want to try your 4×4 skills offroad a bit, but you don’t have a 4×4 of your own (or your own 4×4 vehicle is not where you happen to be at the moment). If you’re on vacation, and you want to explore the surrounding backcountry roads in a new town. If you want to drive a convertible… but not your typical sports car convertible. If it’s a nice sunny day and you just want to feel the wind in your hair. If you’re on a date, and you’re looking for something fun to do for a change of pace. If you want to do some driving on the beach. 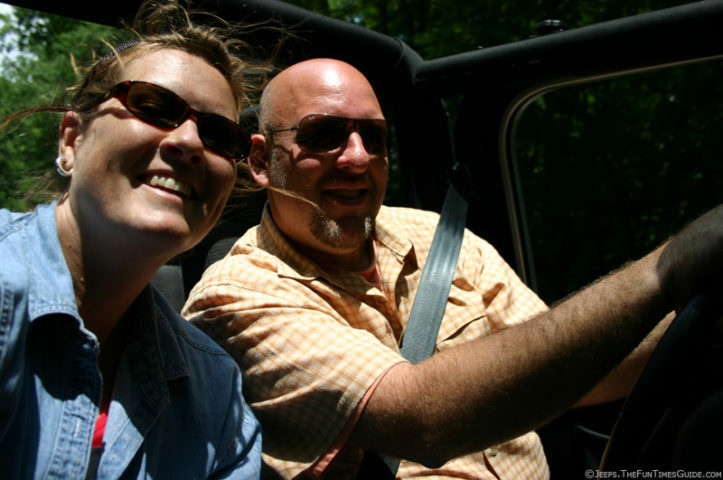 Jeep rentals are different than Jeep tours! With a Jeep rental… you’re on your own and you’re allowed to ride pretty much anywhere you want. A Jeep Wrangler car rental is just like renting any other type of vehicle. We’ve compiled a list of Jeep Wrangler rental companies below. On a Jeep tour… you’re usually with other people and you stick to a particular route. Jeep tours are typically sightseeing tours with a professional tour guide leading the way. We have a separate list of companies that provide Jeep tours across the U.S.
Where To Find Jeeps For Rent In The U.S.
You can also search Relay Rides to find individual owners who are renting out their Jeeps near you! Jeep Rentals Outside The U.S.